Obituary for Tony DeGregorio Jr. | Joseph W. Nickels Funeral Home, Inc.
Tony DeGregorio Jr., 90, of Herminie No. 2, passed away peacefully, Monday, Nov. 26, 2018, in UPMC East, Monroeville, with his family by his side. He was born Nov. 2, 1928, in Greensburg, son of the late Antonio Sr. and Susan (Picone) DeGregorio. In addition to his parents, he was preceded in death by his grandson, Samuel David DeGregorio. Tony served in the Navy from 1949 to 1957, serving on two destroyers, the USS Dortch DD670 and the USS Massey DD788. He received two medals, the Good Conduct Medal and the European Occupation Medal. Prior to his retirement, he was employed by PENNDOT for more than 30 years as a truck operator. He was a member of the Herminie VFW Post 8427, Italian Miners Club of Hahntown Chapter, the CSA Keystone Lodge 304 and the Wendel Herminie Athletic Association, where he served in various positions for many years. Tony enjoyed golfing, hunting and fishing. 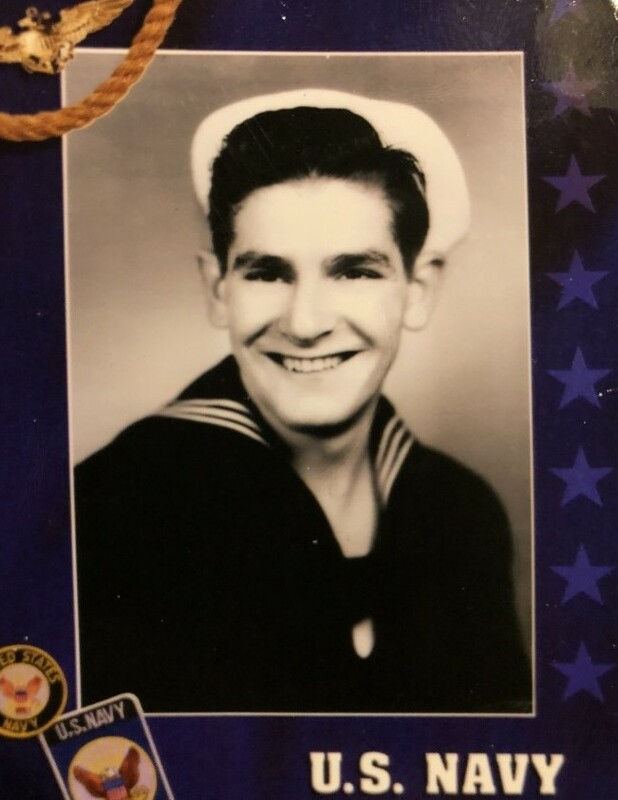 Tony is survived by his loving wife of 68 years, Eunice (DeWise) DeGregorio; a son, Tony (Pat) DeGregorio, of Jeannette; and two daughters, JoAnne (Edward) Jerina, of Jeannette, and Diane DeGregorio, of Washington, Pa. He was dearly loved by his four grandchildren, Tony (Kacelia) DeGregorio, Tracy DeGregorio, Lee Ann (Gary) Swanson and Nicole (Matt) Colicigno. He will be missed by his five great-grandchildren, Caden, Hope, Grady, Gregory and Christopher. He is also survived by his three sisters, Michelina (Charles) Ciochetto, of Hermitage, Frances Sever and Josephine Hohman, both of Wendel, also with numerous nieces and nephews and great-nieces and great-nephews. Tony will be dearly missed by his family, friends and neighbors. Friends will be received from 2 to 4 and 6 to 8 p.m. Wednesday at the JOSEPH W. NICKELS FUNERAL HOME INC., 404 Sewickley Ave., Herminie, 724-446-7251. A funeral service will be held at 11 a.m. Thursday in the funeral home. Interment with full military honors will be held at Westmoreland County Memorial Park, Hempfield Township. To send online condolences, please visit www.nickelsfuneralhomeinc.com.